For my first tutorial, I wanted to start with a utility that I wrote a couple of weeks ago and has proved to be incredibly useful so far while developing HackyZack. It is always useful to have some sort of text drawing while debugging your game so that you can check the values of variables at runtime and figure out if something is working properly, or why it is not. Before, I just used to write some code within the object’s draw event and that worked, but I found myself writing very repetitive code over and over again, which I later had to go in and delete after it was working as intended. As a programmer, I knew there had to be a better solution to automate this process, which is why I decided to write what I call my Debug Logger. 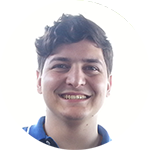 Recently, I wrote an Introspection system for C++ with the aid of Randy Gaul’s Blog. There are many ways to achieve this in C++, but the one used by Randy was through Template Metaprogramming. So in order for me to fully understand his implementation, I had to do some research on the subject. And I fell in love with it! 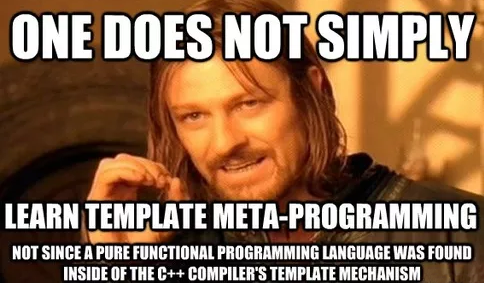 I decided to write a series of posts where I explain what template metaprogramming is, some good reference material to start learning it and then just post some fun programs I’ve made with it.